What is an admin pin? Do I need to have one? What is Rock Gym Pro? What is the file size of a signed PDF waiver? Which browsers does Smartwaiver support? 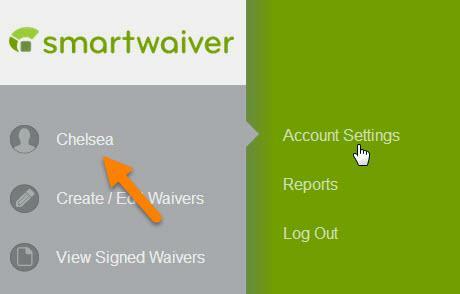 How many waivers are included in my account? How long are my waivers stored? How do I reactive my smart waiver? Does Smartwaiver offer multilingual services? Can participants sign the smart waiver with a mouse? 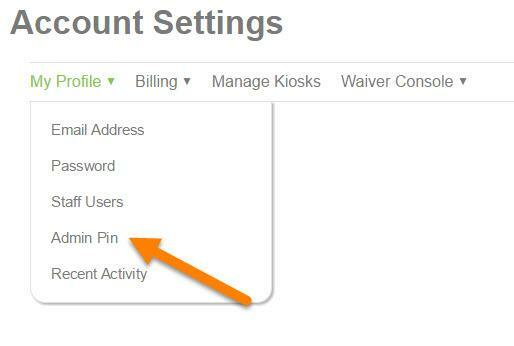 An admin pin lets you limit access to the My Account, Billing, and My Waivers sections of Smartwaiver. If you set an admin pin, only users who know the admin pin will be able to access your account settings, billing info, and waiver management tools. We recommend setting an admin pin in the instance that multiple people need to have access to your Waiver Console, but whom don’t need to view other parts of your account. 1. Once logged in, click on your Username and then Account Settings. 2. Select My Profile and then Admin Pin. 2. Select a Pin Number and click Update. 3) Once a Pin Number has been set, anyone attempting to access your Profile, Billing and Waivers will be asked to enter that Pin Number. How do I add Staff Users to my account?